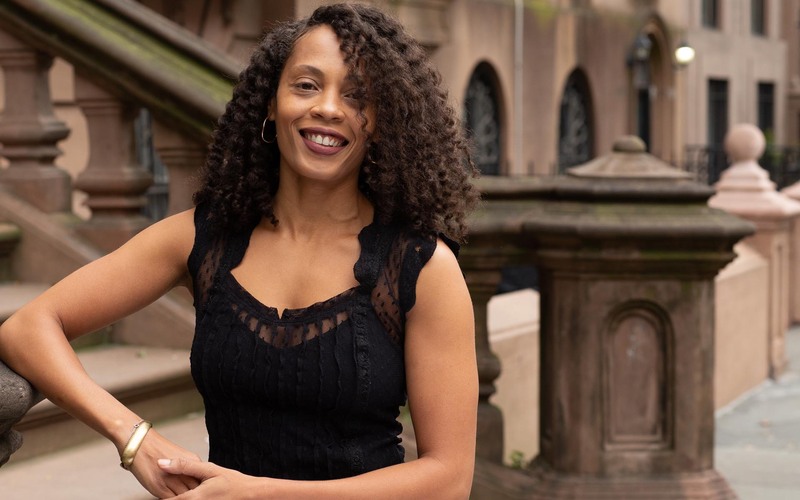 A “pioneer” resident of Boerum Hill and an established real estate professional since 2005, Candice offers clients a combination of local smarts and business savvy. You will benefit from her wealth of knowledge about Brooklyn and her first-hand experience renting and buying property in the area. As a native Brooklynite, Candice was always enchanted by the unique spirit and history of the Brooklyn neighborhood she calls home. She saw the area’s charm and potential, long before Brooklyn appeared on the mainstream radar, and would frequently tour the surrounding streets and cobblestone blocks admiring the construction of the brownstones and churches. It was out of this genuine love of charming old Brooklyn that her passion for real estate evolved. Patience, empathy, compassion and a sense of humor are the hallmarks of Candice’s personal style and business ethos. She understands the emotion involved with renting in this competitive NYC market as well as buying or selling a home, because she has been there herself, and works diligently to ensure that all parties’ needs are understood and met. As a result, Candice not only enjoys repeat business and referrals, but calls many former clients friends. Candice’s professionalism and friendly style have been recognized by her peers and the media alike. Candice knows all of the area’s top landlords and real estate related service providers and can refer you to reputable, local attorneys, mortgage brokers and other professionals. On her spare time, Candice loves to keep active and enjoys practicing Yoga in her neighborhood and is an avid runner. * Time Out New York - Recommended apartment rental brokers. Read real New Yorkers' testimonials (April 2011). Candice has always had a passion for construction and design. After graduating from the Fashion Institute of Technology in 2000, where she earned a degree in Fashion Buying & Merchandising, she worked for several high-end retailers in NYC and eventually ventured off to start successful independent clothing line. I worked with Candice Vilaire at BHRE. Candice is by far the best real estate agent I have worked with - she will find you your dream apartment, and she will work tirelessly to make sure that the process is made easy for you every step of the way. As someone from Texas, finding my first apartment in New York had been somewhat of a nightmare, until I stepped into Candice's office. When I came to her my paperwork was in disarray. Candice helped me for several hours, and even changed her schedule to stay later and get things moving for me as quickly as possible. She made sure I knew what was going on every step of the way. The process went exceptionally smoothly, and I was able to find an apartment and sign my lease within 3 days. Candice is not like other agents who are just concerned with putting money in their own pockets - she works for you to make sure you are nothing short of ecstatic to move into your new apartment. I highly recommend Candice, especially if you are a get-it-done type of person. She will not only help you find your dream apparent - she will help you find it efficiently, and will make sure that you are renting or buying only from excellent and reliable landlords. "I just want to thank you for your help finding my first apartment in New York! You were an absolute pleasure to deal with and I couldn''t be more thrilled."